Don't lose the run of yourself, GT5K 2019 is here! On Thursday 12 June, the GT5K kicks off in Cork for the first race of the 2019 series. Get a team together and take on the Grant Thornton Corporate 5K Team Challenge around some of Cork's greatest landmarks. On Wednesday 4 September, the GT5K series moves to Dublin. Get a team together and take on the Grant Thornton Corporate 5K Team Challenge around Dublin's iconic docklands. The Simon Communities in Ireland are a network of eight regionally based independent Simon Communities based in Cork, Dublin, Dundalk, Galway, the Midlands, the Mid West, the North West and the South East that share common values and ethos in tackling all forms of homelessness throughout Ireland, supported by a National Office. The Simon Communities have been providing services in Ireland for almost 50 years. The Simon Communities deliver support and service to over 11,000 people and families throughout Ireland who experience – or are at risk of – homelessness every year. Whatever the issue, for as long as we are needed, Simon’s door is always open. Healthy workforce: These events encourage social running amongst the business communities in Galway, Cork, Belfast and Dublin, helping to improve the health and wellness of the workforce and building team spirit. Young athletes: Grant Thornton’s support also makes a positive difference to young, promising athletes in Ireland with event organisers Athletics Ireland channelling funds raised from these races into their Junior High-Performance programme which enables these emerging athletes to fulfil their potential. 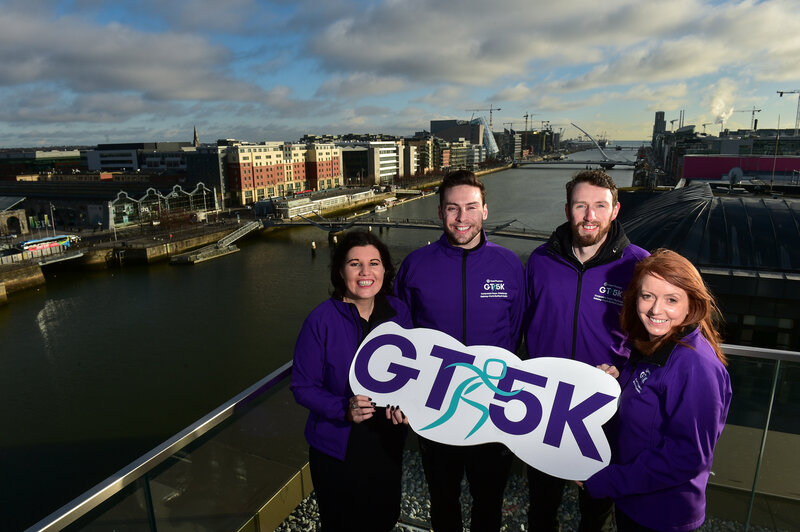 The GT5K series is organised by the national governing body Athletics Ireland whose mission is to support and develop the athletes of Ireland of all ages, disciplines and abilities. As an association one of its core strategic objectives is to promote health and fitness in the population as a whole and this event enables them to reach beyond their core membership into the business community by encouraging them to focus on a fitness programme which targets a 5k run which is a good starting point for novice runners. In addition to funds received from the Irish Sports Council, Athletics Ireland generates 50% of our own revenue to support its programmes. Grant Thornton’s sponsorship of this event allows for funds generated to be channelled into their Junior High Performance Athletics programmes. These programmes provide support and expertise to close to 100 of our emerging young athletes to help them to fulfil their potential.